SoFlow Air Electric Scooters – A Closer Look! What’s So Good About SoFlow Flowboard Air Scooters? Thanks to improvements in battery technology over the last few years, the variety of electric scooters available has expanded. Our own range of electric scooters included! SoFlow electric scooters are a relatively new addition to our fresh category of Electrics. If you’re thinking about getting a SoFlow electric scooter for yourself or just want to know more about them, here's some in for you. SoFlow Air electric scooters come in carbon or aluminium. Both types are super lightweight and capable of getting you from A to B in a stylish way. With a dual brake system, SoFlow electric scooters are not only practical but they are also fun to ride, especially in the city! Here’s a closer look at the features. The Aluminium models are super sturdy and light at 7.8Kg - easy to carry and stow away when not in use. Featuring a 250 watt motor and maximum speed of 15mph and a range of around 10 miles, these are perfect for the daily commute. The Air Aluminium electric scooters can take on inclines of up to 15° which is insane for such a compact scooter! With a lithium ion 25v, 6ah battery and a low charge time of 2-3 hours, your scooter will spend less time plugged into the wall and you can spend more time out enjoying the freedom of riding. 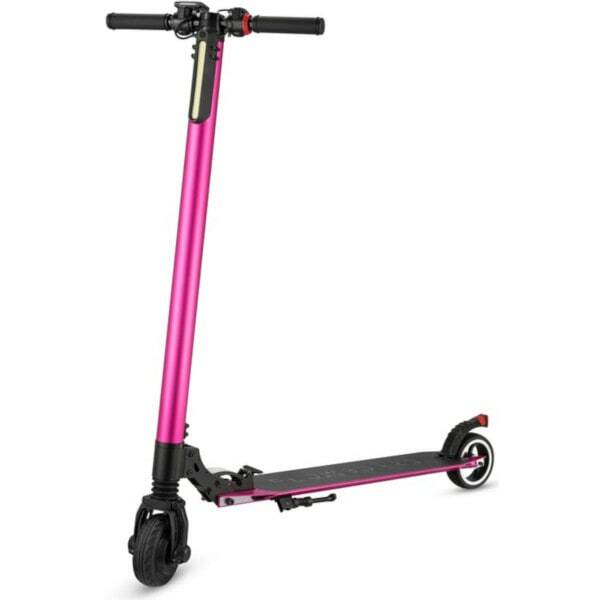 Available in black, pink, silver, blue and red, our SoFlow scooters have front lights, rear lights, and a style to suit every taste. 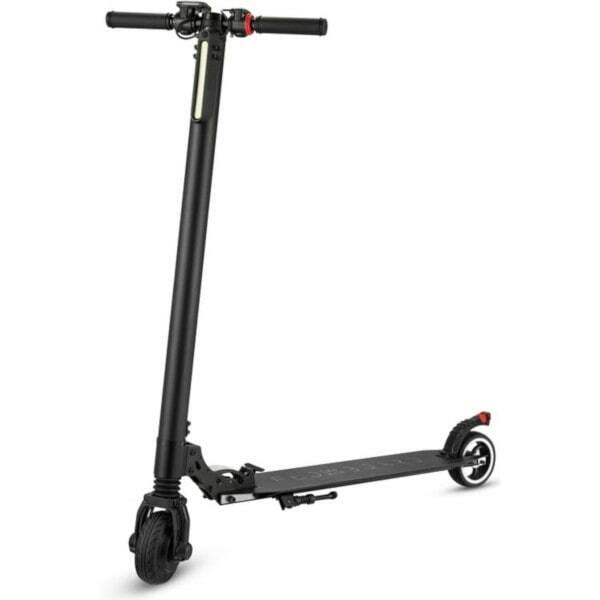 With a modern compact look and comfortable handlebars, this is a great scooter for both beginner and experienced users. We recommended the use of these scooters for riders aged 14+. 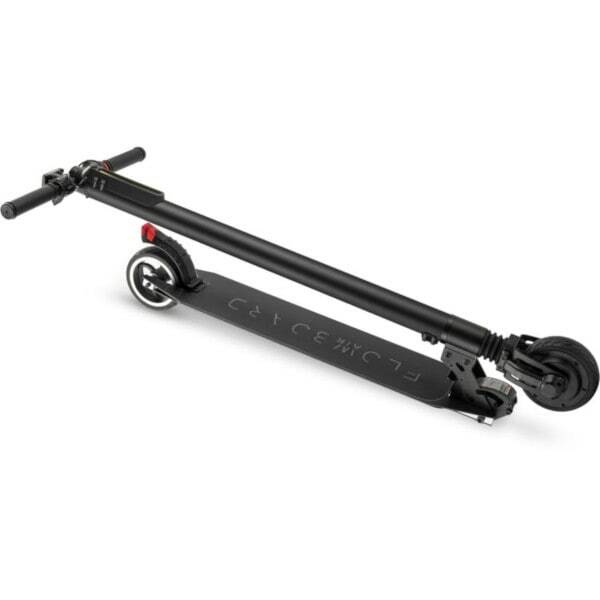 Take a look at our entire range of SoFlow electric scooters here!